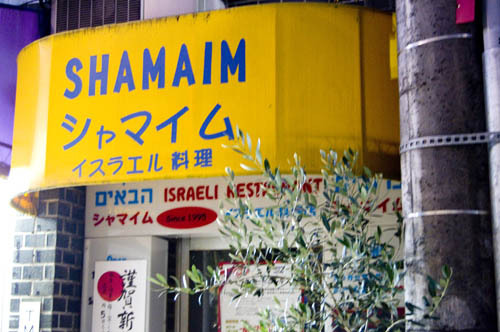 An Israeli restaurant and pub, one minute from Ekoda south exit. They serve falafel, humus, salads, stuffed pastries and soups, plus shish kebab and one or two other meat dishes. 50 seats; reservations recommended. The all-you-can-eat special is Y2,000. Open noon-midnight Saturdays and Sundays. Nerima-ku, Sakaecho 4-11, Art Bldg 2F.